The SETI Institute is probably best known for its work scanning the stars for signs of extraterrestrial communications. But the organization’s remit is broader than that. Its many research teams work towards a noble goal: to explore, understand, and explain the origin and nature of life in the universe. Exploring other planets isn’t a task to be taken lightly. Equipment and methodology have to be perfected well ahead of time. The SETI Institute and Astrobotic Technology this week revealed that they have used a drone to successfully map an ‘ice-rich lava tube’ (also known as a cave) in Iceland. The team generated a 3D map of the Lofthellir Lava Tube Ice Cave in the remote Myvatn region of Iceland. From the data gathered they now know the caves shape, size and depth, and also have a good idea of its history. With a drone and a LiDAR system, they learned all the secrets of this isolated cave’s rock falls and ice formations. The mission is being touted as a proof-of-concept for the use of drones to explore and document the terrain of other planets, including Mars and our own Moon. We’ve seen before how drones can handle operations in dangerous and hard-to-reach locations. SETI’s plan was to show how that capability can be taken to the next level. Exploring underground environments in other worlds is a priority for researchers. Both the Moon and Mars have cave openings on their surface, each one of which houses an environment that’s been sheltered from the harsh conditions prevailing at the surface, temperature swings, radiation and micrometeorite bombardment from space. These sheltered spots are obvious places to look for signs of life. They have also been proposed as natural shelters that future human explorers could use for storage, short-term stays, and, if Elon Musk gets his way, colonization. All that’s needed is an aerial system capable of navigating what would be an incredibly treacherous environment for a human explorer. Drones on the Moon would have to be specially adapted. As there is practically no atmosphere, any drone would rely on small thrusters rather than conventional props. They would also need sophisticated navigation tools, such as the LiDAR proven in the Iceland mission. 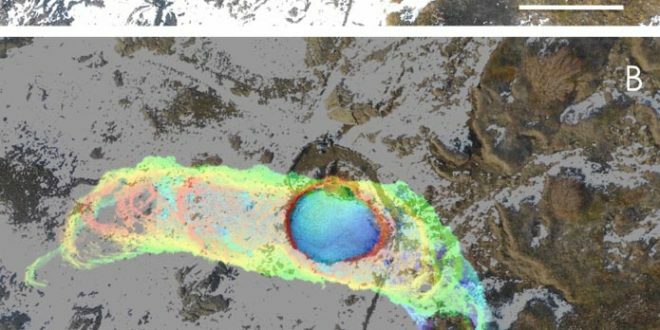 NASA and Astrobotic’s LiDAR and stereo vision navigation system, AstroNav, gave the drone the ability to autonomously explore and map the subterranean environment. It relies on both stereo vision and LiDAR, works without GPS or previously stored maps, and can operate in real-time. 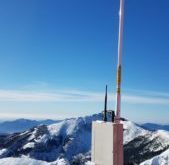 The project represents a first for researchers. “More development work will be needed to create a system that’s ready for the Moon or Mars, but the study of this icy lava tube is an important first step for us” said Horchler. The project was supported by NASA, the Mars Institute, and a Mohammed bin Rashid Space Settlement Challenge grant from the Dubai Future Foundation. Next Has The Mota Group Returned as Drones By US?